With all the cold weather we’ve been having there’s been a lot of us craving comfort foods like soups, breads, and cookies. 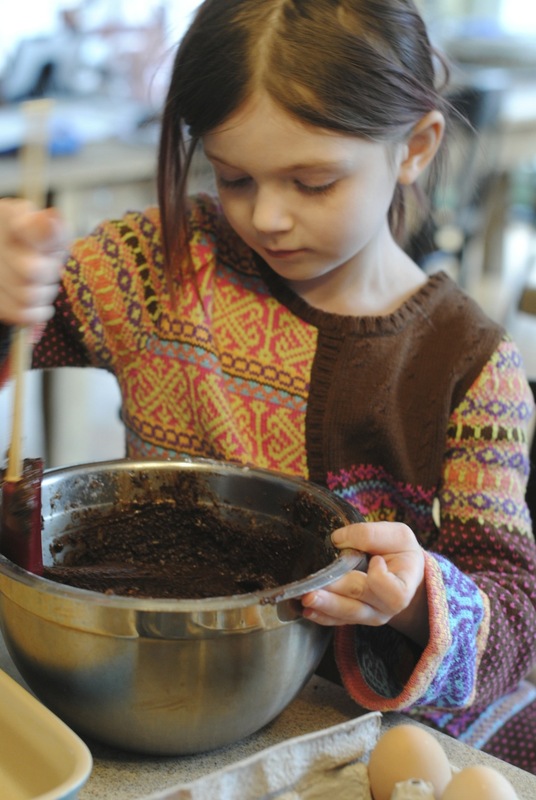 Fortunately for me, my kids are all interested in learning how to bake, and since we homeschool it was a no-brainer to bring that learning into the kitchen. 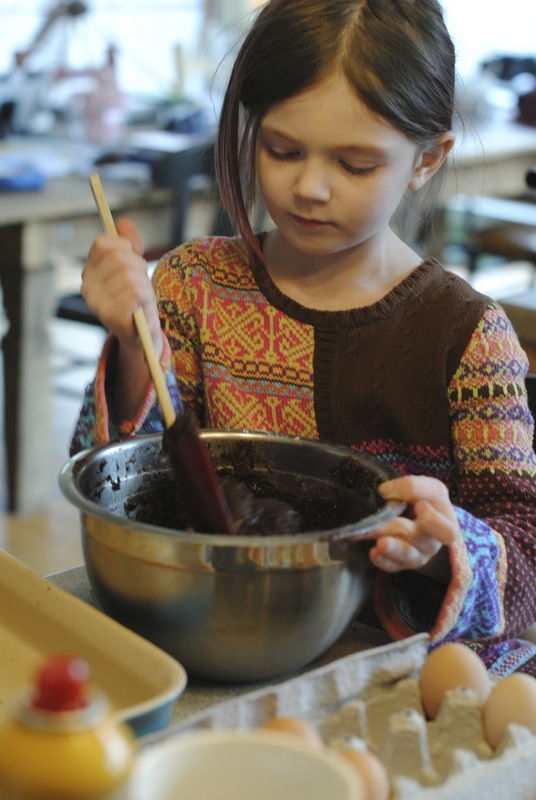 This week it has been Oona lending a hand with the baking and learning how things go together. 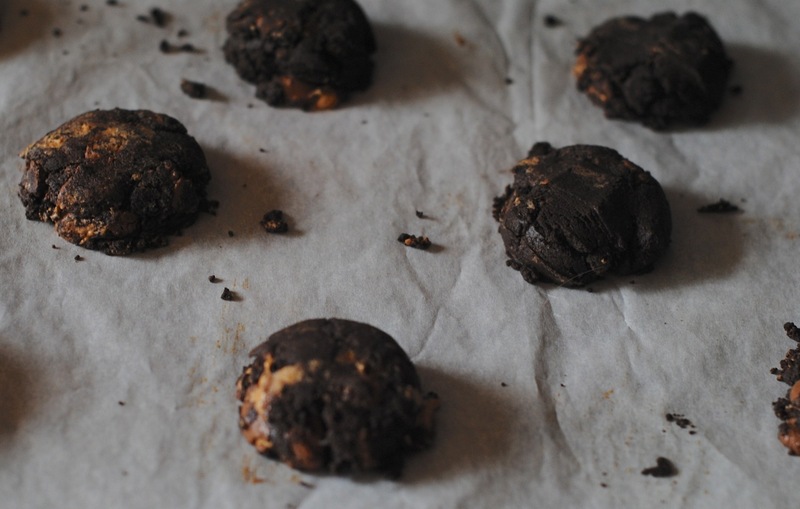 We made brownies and Chocolate-Peanut Butter Cup cookies using recipes from King Arthur Flour. She’s pretty keen on the stirring part. We’re still working on cracking eggs in a manner that doesn’t end in disaster (not quite there yet). She’s pretty proud of her accomplishments, though, even if mama is the one measuring out the ingredients. We have not yet found a recipe from King Arthur that we haven’t liked, but these cookies are among our favorites. It’s pretty gratifying to know that by the time my kids are off in the world on their own they will be able to feed themselves (and well, at that!). This entry was posted in Kids and tagged food, Homeschooling. Bookmark the permalink. I am embarrassed to say I never cooked one thing before college. Or even during college. But cookies. That I could do. You are a good mom!